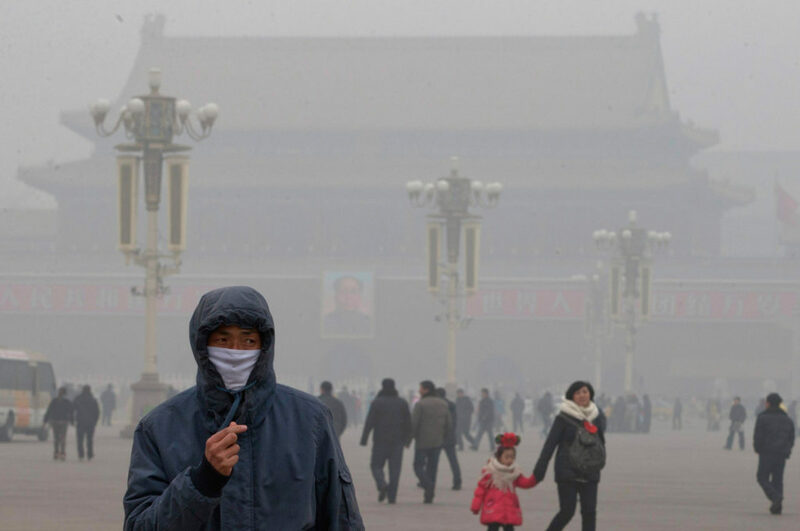 China has been struggling with some of the worst air pollution in the world. Beijing frequently sits under a brown blanket made of exhaust gases from industry, cars and coal fires, which dump harmful particulate matter, soot, sulfur dioxide and nitrogen oxides into the air. The human health consequences are severe. According to the World Health Organization,air pollution contributes to about 1.6 million premature deaths in China each year. World-wide, air pollution is implicated in over 7 million deaths annually. Faced with this air pollution crisis, China has undertaken a wide variety of measures to improve its air and curb carbon dioxide emissions alongthe way. Among other things, China has invested heavily in the deployment of solar power and has plans for ever greater expansion of solar power in the future. A study by researchers at ETH in Zurich looked at the impact of China’s air pollution on the production of solar energy. The smog in China’s cities reduces the amount of solar radiation that reaches the ground and therefore significantly reduces the power output of solar energy systems. According to the study, solar radiation would increase by an average of 11% nationwide as a result of strict air pollution control measures. In some places, cleaning up the air would result in 26% more energy production. China’s electric power industry is the world’s largest electricity producer, having passed the United States in 2011. Two-thirds of the electricity in China still comes from coal, which, apart from the serious climate and health consequences associated with its use, continues to make it more difficult to switch to clean solar power. Much work remains to be done. Photo, posted February 7, 2014, courtesy of Flickr.